Happy Friday! Today we have a special treat for you. It's Christmas card inspiration from Adora and Barb. Hello everyone!!! Adora here to share some creations with you today. Can you believe Christmas is just around the corner? The year flew by so fast and it really needs to slow down :). Yep, The busiest season of all is upon us! 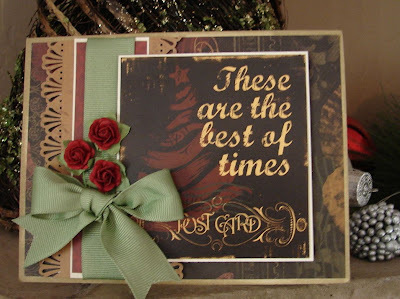 Do you make a lists of things to do before the big day, like handmade cards? Today, I am sharing with you these cards and hoping that you'll be inspired and put you in the mood to start and cross it out on your lists. It's really never too early to make these. Here is the first card - I used the Cracklin' Rose 200 and 300 Paper! 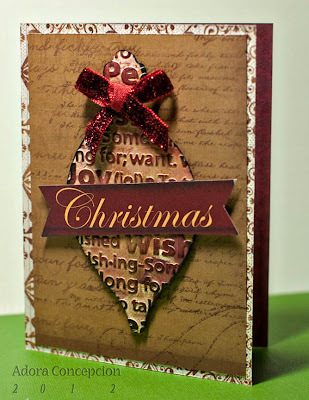 Note: I traced and cut the ornament shape onto the paper and embossed it for texture. 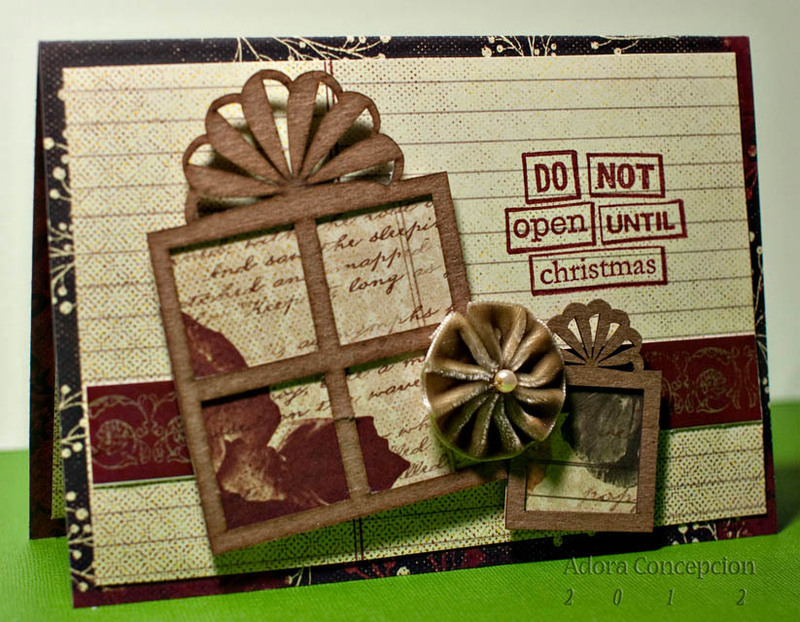 Other Supplies used: Maya Road Velvet flower and Hampton Art Stamps. Hi! Barb here to share some Christmas cards with you today! I'm not sure where the time goes but all of a sudden I found that it was December and I was not done (not even close!) with my Christmas cards! Yikes! 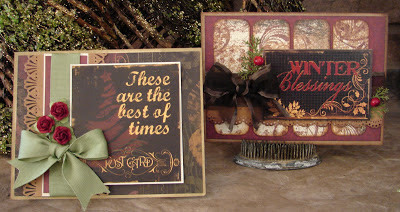 I decided it was time to get busy so I created these cards using the Cracklin' Rose line. I love how elegant this line is. 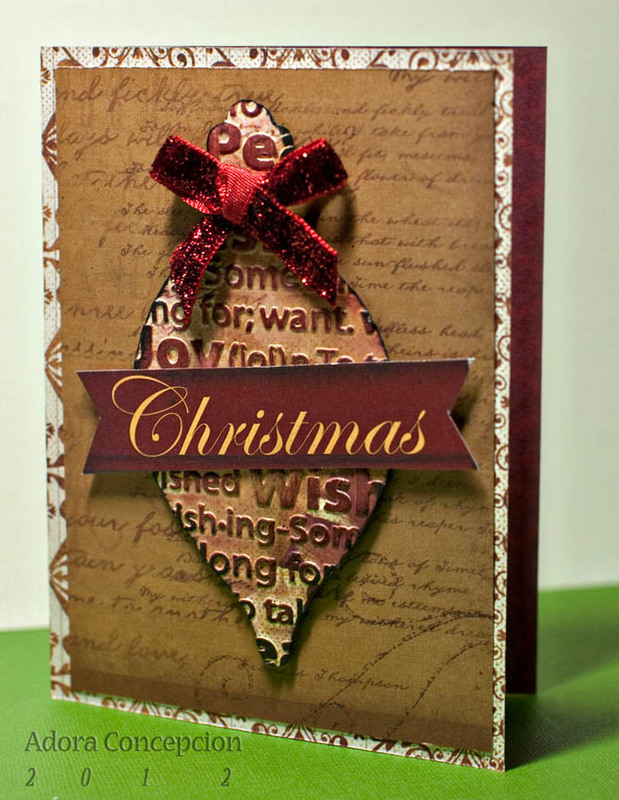 The double sided papers make a card like this quick and simple. I distressed all the edges on this card with Amaretto PowderPuff Chalking Ink. 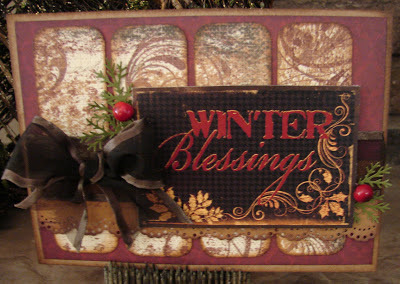 I finished it off with a brown ribbon bow and some berries with greenery. I hope you were a little more on the ball with making your Christmas Cards. But, if you aren't, Quick Quotes Cracklin' Rose line is the perfect solution for you! Thanks so much ladies! These are wonderful!!! Ladies those are wonderful cards, very well done. Fortunate is the recipient. Thanks for the inspiration. These are absolutely beautiful. I love the colors. So rich....so vintage....so regal. Very nice!